Winter is here... Are your windows keeping the cold outside? Here is a way to check! Houston is having a cold snap, so you want to stay warm in your home. Winter is a great time to check how well insulated your windows are because you can feel the cold air coming through the window. If the cold is coming in then the heat is too! To test how well your windows are keeping the cold air out, go stand by them. 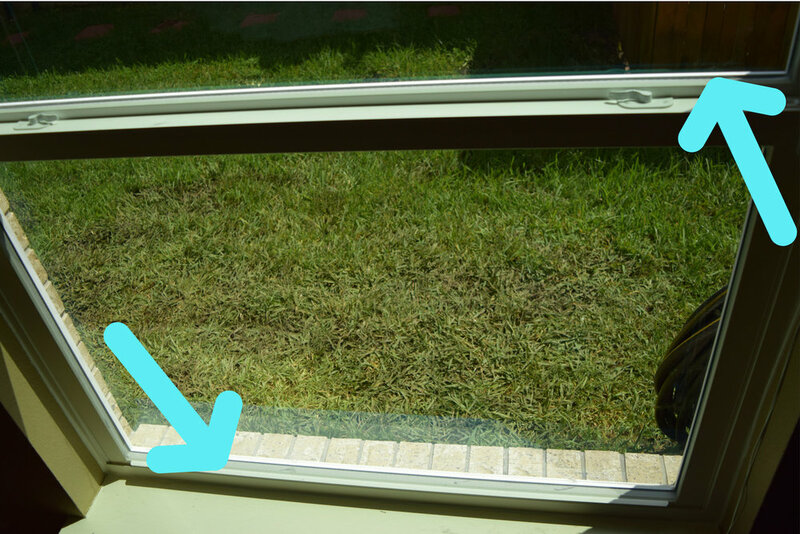 Do you feel cold air coming through the middle of your windows or the bottom of seals (See pictures below)? Do you have aluminum frames? Aluminum frames conduct heat and transfer cold. If you feel any of the cold air coming in your home, or have aluminum frames, it is time to invest in new windows before the summer heat hits. To keep the temperature outside of your home, we offer replacement windows that are energy-efficient and that are custom made for your home. We use 366 low e-argon filled insulated glass and high quality reinforced vinyl frames. This eliminates cold air coming through in winter and heat in the summertime. When the owner of Guardian Windows, Marty, comes to your home for your free estimate, he will bring windows to demonstrate how the glass and seals are energy efficient. Call today to schedule your estimate, 281-955-8994.